I grew up with grits, although my mom always made cheese grits. They're so much better than just grits. Regular grits are just on the plate to absorb other great flavors on the plate and to fill you up. 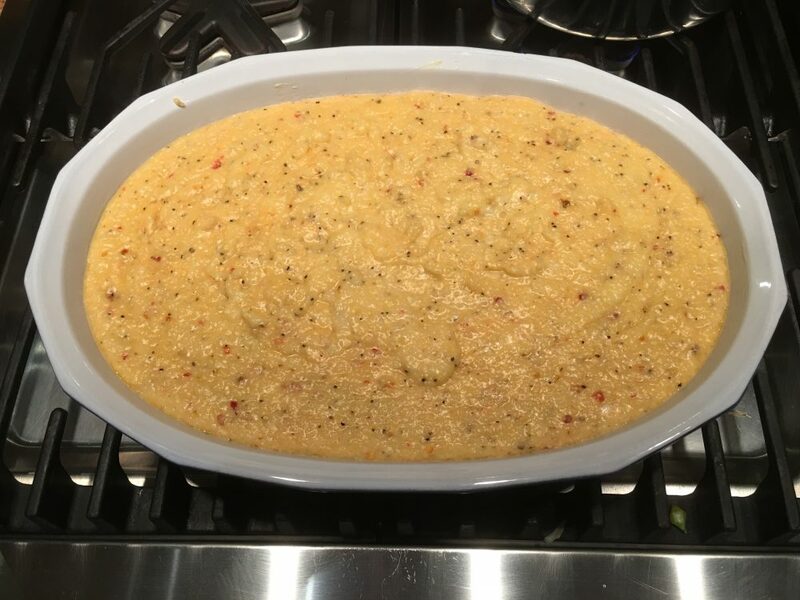 Cheese grits are wonderful just by themselves. 1Cook the grits in boiling until they won't run off your plate and turn off heat. Note: different grits have different measurements. Choose the right amount of grits to cook in 6 cups of water. Use some Common Core math skills here! 2Add butter, let it melt and stir in. 3Beat eggs in a small bowl, then spoon in some of the hot grits into the eggs and mix together (this keeps the eggs from cooking into scrambled eggs). Add back to grits and stir. 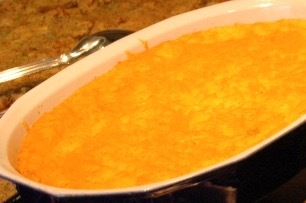 4Mix in all but one cup of the shredded cheese. 5Stir in salt, pepper, and if you want some spice (and you should! ), the chili-garlic Sauce. 6Perpare a nice casserole dish. A 13" x 9" size (3 quarts) is right. If you are using a deeper dish, you will need to bake a little longer. Use some butter or cooking spray and you're set. 7Pour the grits into the dish. You can refrigerate overnight at this point, or just go right to the next step.